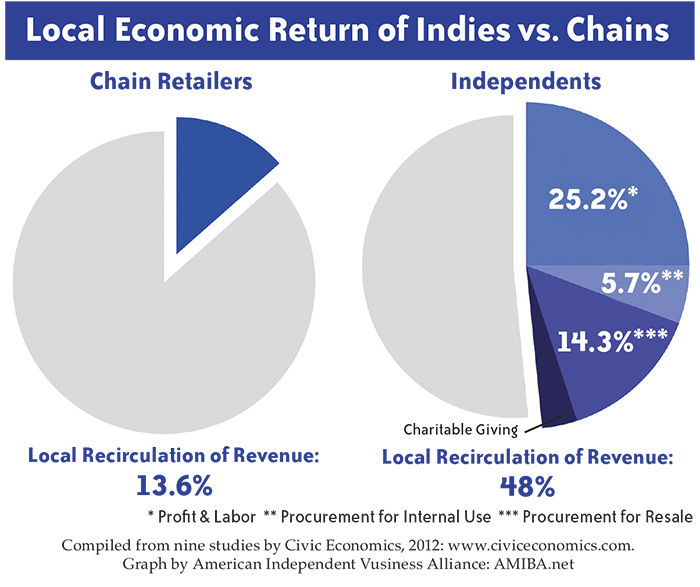 Infographic by the American Independent Business Alliance – amiba.net – via Terry Garrett of Sonoma County Go Local. Read Garrett’s piece on the power of spending locally – Buying Local is a Powerful Force – in the December Sonoma County Gazette, on newsstands now, or online here. The movement for localization is growing rapidly, worldwide. From Local Futures/The International Society for Ecology and Culture. Though over a year old as of this posting, this remains a worthy introduction to the localization movement from a broad array of advocates. – Ed.